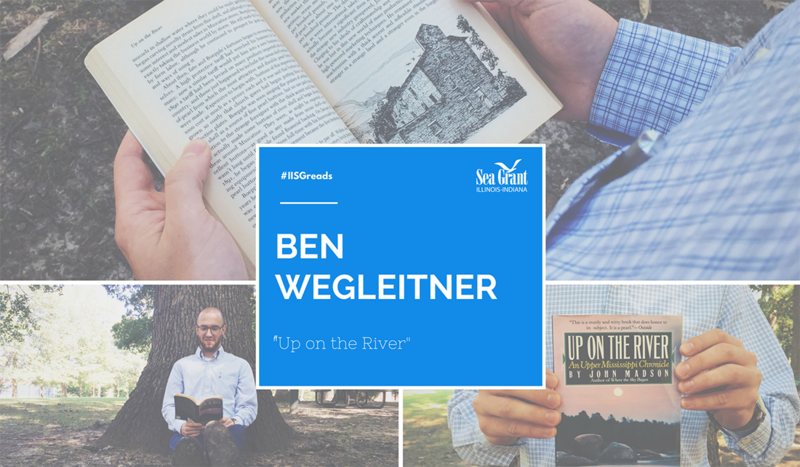 We are excited to continue our journey known as #IISGreads here at Illinois-Indiana Sea Grant. In the same vein as our #iamIISG campaign, this is our way of allowing our friends to get to know us a little better. As we said in the first post,“When we walk through the doors of our work, we don’t just leave behind who we are in that moment. Everything that has come before defines us, in small and sometimes not-so-small ways.” That still holds true today. 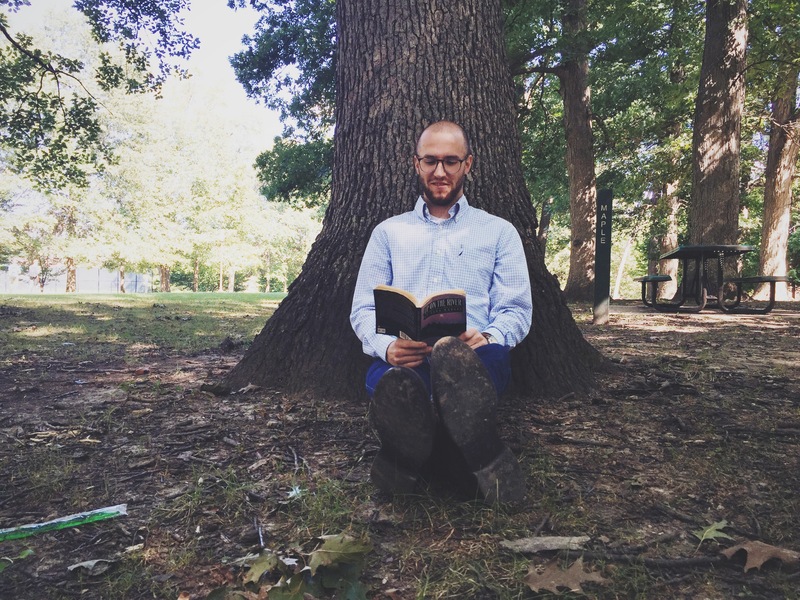 Today we’re talking with our Social Science Outreach Assistant, Ben Wegleitner. I just finished reading Four Fish by Paul Greenberg and have had Walden on my nightstand for a few months now, but I only read it sparingly. 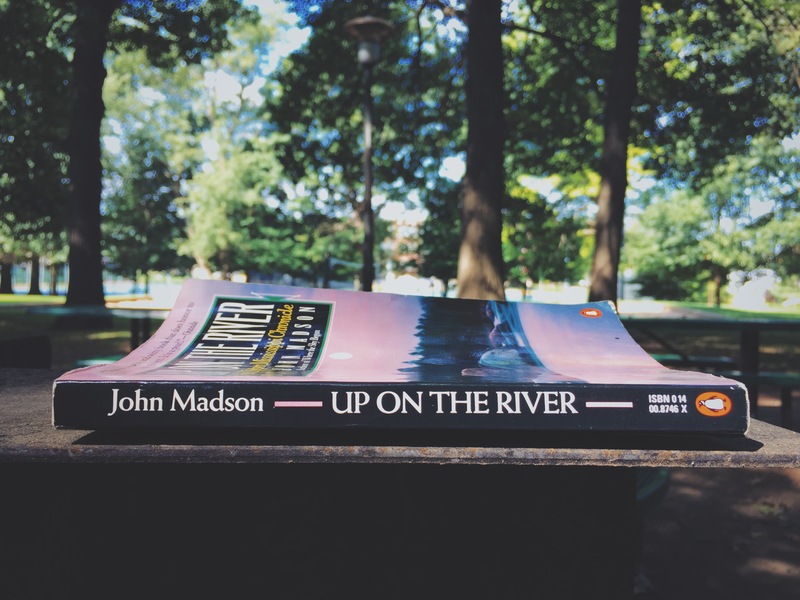 I also have a tattered, old copy of Up on the River by John Madson. I really enjoyed reading Up on the River. The book gives a detailed account of the history of the upper Mississippi River, but is also silly and personal. It restores fond memories of living in the Mississippi River valley. 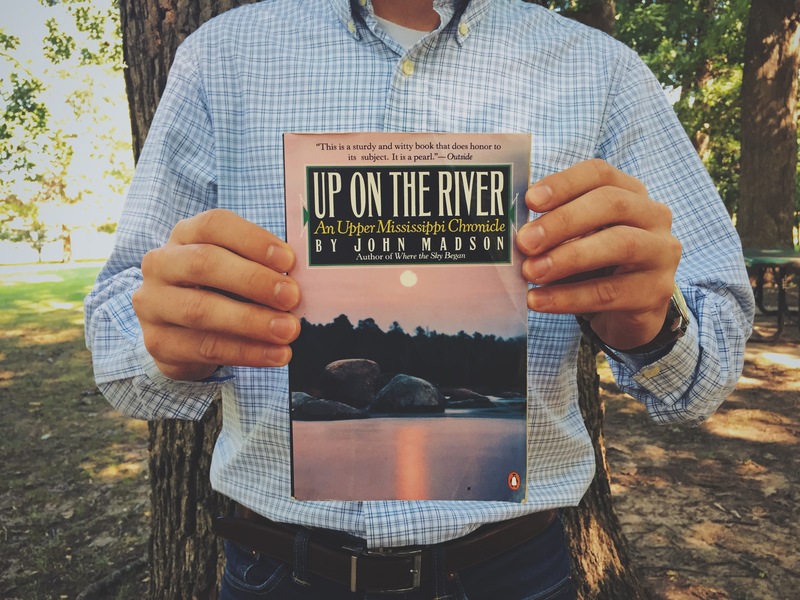 I also enjoy any book that is outdoors or fish-related, and Up on the River is both. Life along the river is just a little different than the rest of the country, and the book portrays that. It’s filled with stories about the unique personalities of commercial fishermen, hunting freshwater mussels in the mudflats, the excitement of catching catfish after dark, and the constant barge traffic that can jam up the river. Many people along the upper Mississippi have a special connection to the river and make use of everything the water has to offer. I think those are lessons that can be applied to areas away from the river, as well. What is your favorite part/scene/passage/quote? Why? 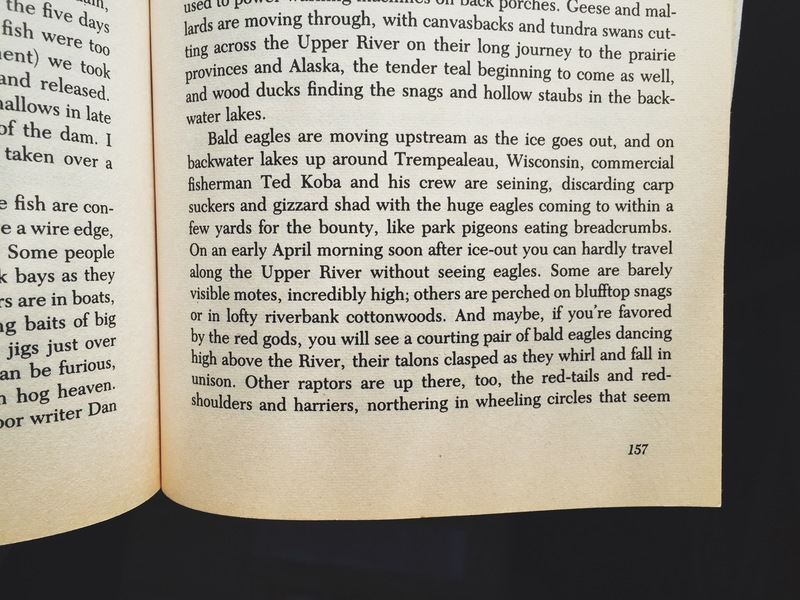 I like this passage because eagles are a rare sight in many parts of this country, but the scenes from this passage are so commonplace along the upper river. It’s impressive to see bald eagles up close, flying low through the cottonwoods. It makes me wonder how many Americans have never seen a bald eagle in the wild, or at all. It’s difficult to hype a book like this, but I’d tell them it’s an easy read. 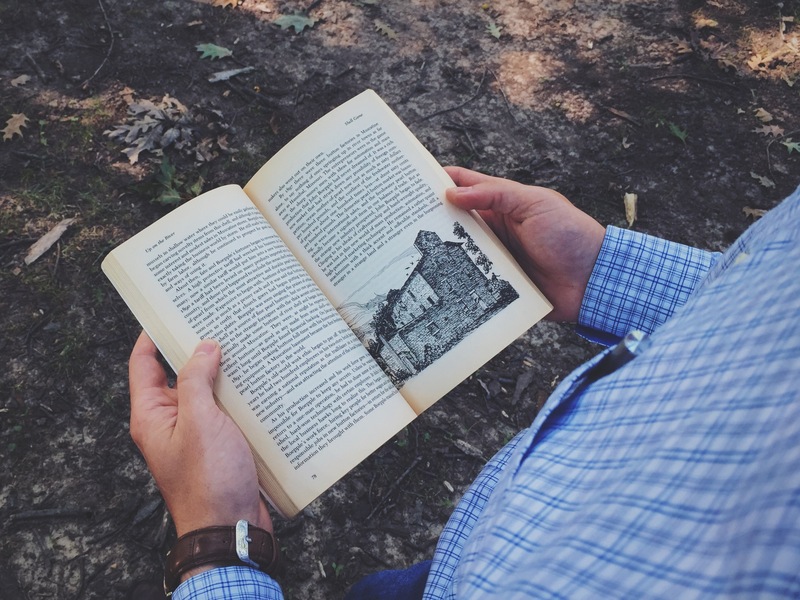 It’s just a book about appreciating the natural resources available to in the upper Mississippi River and acknowledging aspects of the river’s history that may have been forgotten. It makes for a good front porch read or a book to read at the cabin. We’d love to know: What books (or reads!) are YOUR favorite(s), or what works have impacted you the most? Connect with us in the comment section below or in Twitter with the hashtag #IISGreads to continue the conversation. Looking forward to seeing you there!